Planning an Edinburgh winter getaway? Then why not make a visit to Scotland’s Best Attraction (for ten years’ running- VisitScotland). 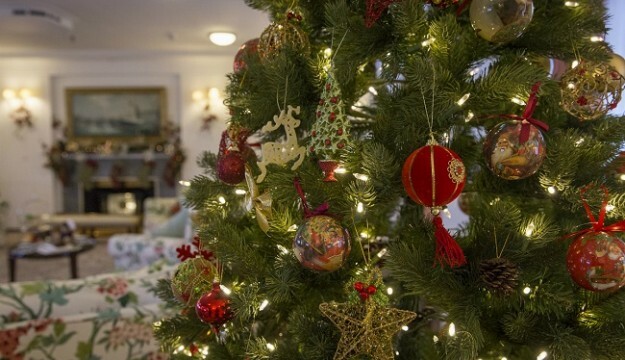 The Royal Yacht Britannia will be decked out during December with festive touches around the ship from the beautiful garlands and ornaments adorning the State Apartments to the sparkling 20ft Christmas tree along the quayside! 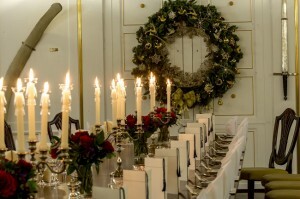 The Royal Deck Tea Room will also take on a festive charm, with a delicious menu, all made on board in the Royal Galley. Favourites such as warming soups, hot chocolate and mulled wine are all on offer, set against the panoramic views across to the Firth of Forth. An extra special time is always Britannia’s Christmas weekend (3-4 December 2016) where visitors will enjoy complimentary mulled wine and hand-made shortbread in the comfort of the Officers’ Mess. What’s more with fabulous gifts and stocking fillers available in our Gift Shop, you are sure to find the perfect present. To book your group visit to Britannia simply email groups@tryb.co.uk or call 0131 555 8800 to reserve your place.